The Village of DeForest is strategically located in South-Central Wisconsin, just minutes from the State’s capital – a part of Madison, yet a place apart. DeForest provides ready access to six major highways, rail transportation and Dane County Regional Airport. The community boasts safe, welcoming neighborhoods, an exquisite park and trail system, and a place to grow the good life. The Village Board and staff strive to provide smart fiscal policies and cutting-edge initiatives, while offering high-quality, friendly services. Here are the 4 most recent listings in DeForest. 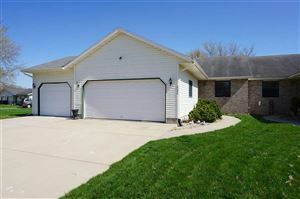 See all Homes for sale in DeForest.